Add a non-traditional touch to a wedding basic. 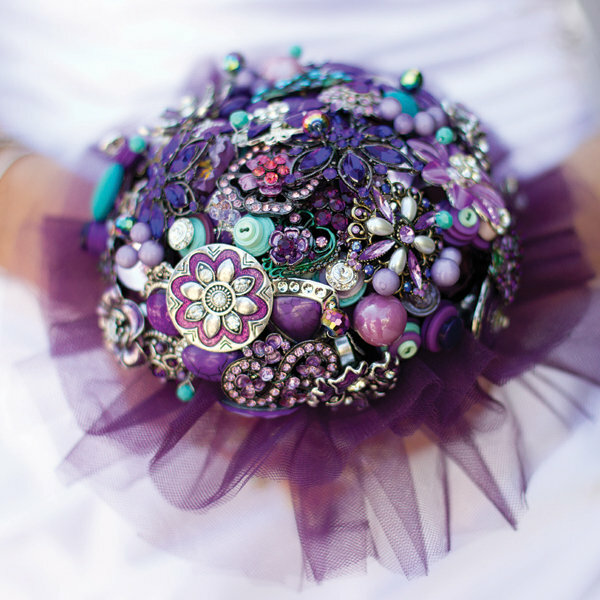 Tweaking a classic element of your wedding to make it your own is a great way to personalize your big day. Buy or create a one-of-a-kind boutonniere for the groom, or forego the floral bouquet in favour of something with a little bit of flair, like this clutch of multi-coloured brooches. The cake is one of the most symbolic elements of a wedding, and a great way to add a personalized touch to your big day! Instead of opting for a traditional cake topped with miniature bride and groom figurines, why not create a cake topper that truly represents the personalities of the celebrated couple. Check out these fun feline characters, or forego the cake altogether and offer personalized cupcakes to make the dessert table truly unique! Create personalized keepsakes for your party guests. Another great way to personalize your big day is to create memorable keepsakes for your guests so they can remember the special occasion long after the party comes to a close. 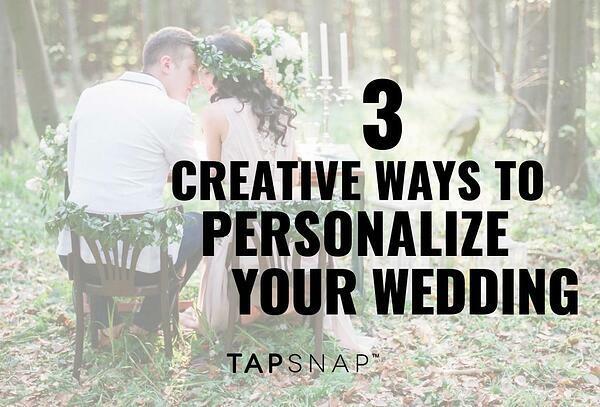 Adding a TapSnap photo booth to your wedding will give you multiple ways to customize party photos that can be shared through social media, or printed for guests to take home. 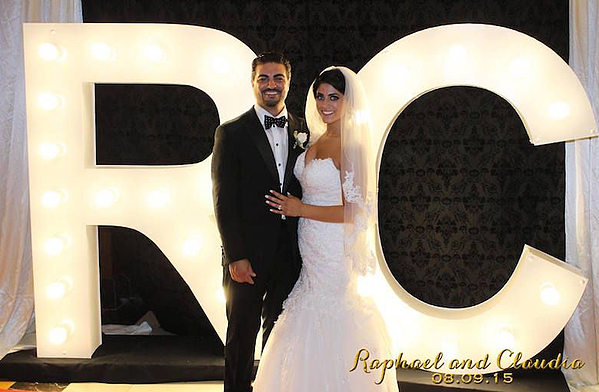 You can personalize your green screen background to recreate the scene of your first date, add background props that reflect the unique personalities of the celebrated couple, or take the monogram craze to a whole new level with letter-shaped light boxes like the couple has done below. TapSnap's kiosks can also be customized to suit your style, and images and logos can be added to the photo itself to highlight the important details of your special day. When it comes to planning your big day, there are many ways to personalize your event to make it unique and memorable for your guests. Whether you're planning a big to-do or a quiet rendezvous for two, what matters most is that you celebrate your union in a way that suits you best.